Northwest Chess regrets to announce the death of Robert A. Karch (1930-2010), longtime chess player and organizer in the state of Washington, including the Tacoma area. Karch was WCF member number 1000, and was awarded a life membership many years ago. He passed away one day short of his 80th birthday. The funeral and interment was on Monday, April 12th at 12:30 PM at the Tahoma National Cemetery in Kent, Washington. Photo: A younger Bob Karch at the 1975 U.S. Open in Lincoln, Nebraska. For another photo of Bob, see chess.com's "Greatest Chess Photos" page, and scroll down to photo #194. Article on Robert Karch by IM John Donaldson, reprinted with permission from Mechanics' Institute Chess Club Newsletter #487, April 7, 2010. Washington Chess Federation secretary Gary Dorfner reports that Robert Karch died on March 23, one day short of his 80th birthday. He had been in poor health for many years. Active in organized chess for over 60 years, starting with his days at Lincoln High School in Tacoma, Karch served in the United States Army in military intelligence from the 1950s to the early 1970s. During this time he was stationed around the world but this did not prevent him from finding time to promote the game, particularly in developing rating systems in several places. He worked briefly for B.H. 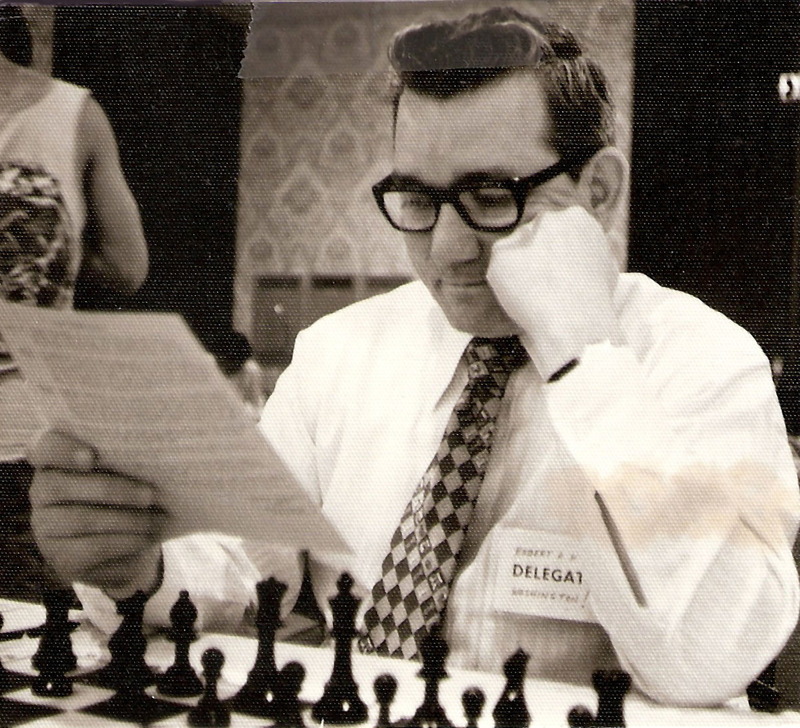 Wood at Chess in England in 1972 (see his picture on the cover of the April 1972 issue) but soon found himself back in the Pacific Northwest opening a full-time chess center in Seattle during the Fischer boom. His American Chess Service facility only lasted a few years but hosted many events where players like the young Yasser Seirawan and future IM Eric Tangborn gained valuable experience. Peter Biyiasas, reigning Canadian champion at the time, won many Karch organized events in the early to mid 1970s. The greatest promotional event Bob Karch organized was undoubtedly the match he played with Yasser Seirawan. The battle between Fischer and Spassky might have been played a year before but the effects of the "Fischer Boom" were still being felt in Seattle when the 43-year-old Karch and the 13-year-old Seirawan squared off in a six-game match in August of 1973. Karch, who normally a Class A player but occasionally slipped over 2000, was the reigning "Seattle City Champion" while Yasser was 13 and rapidly improving. They were far from the best players in the area at the time but the newspapers didn't realize that. What they saw was a study in contrasts. Lew Peterson, writing in the Seattle Post-Intelligencer at the time, described the scene. "Yasser, who ranges in age from 11 and 13 years depending on your sources, showed up for the highly publicized game in yellow cutoffs, a red-gaucho hat and a well-tanned bare chest. His older opponent was dressed slightly more conservatively in slacks, dress shirt and tie." Yasser won the match, which attracted large stories in the P.I. for each of the games, 4-2. Robert Karch served as the editor of Northwest Chess several times in the 1970s and 1980s (second only to Dan Wade in longevity in the over 60-year run of this publication – see historical editors list). He was also the editor of the correspondence chess magazine Chess International for several years in the late 1980s. Correspondence chess was a life-long interest for Karch who served five years as the US Secretary to the ICCF. He also served in various administrative posts for the Washington Chess Federation and as USCF secretary for a short time. Throughout his life Karch taught classes teaching thousands of people how to play chess. Typically wearing a suit and a tie Bob was certainly more conservative than your average chess player but outward appearances could belie the dreamer that lay beneath. One need only look at the American Chess Service calendar for 1973, with close to (50!) weekend events on the calendar spread across hundreds of miles of the Northwest to realize that he was putting on the local version of Goichberg's Continental Chess Association tour but with an infinitely smaller player base. These generous prize funds kept many semi-pros going but it was good that Bob had his military pension to fall back on when events lost money. Even still these tournaments had to do better than the full-time chess center he ran in 1972-74. Bob was definitely a dreamer ahead of his time and true to his Northwest roots. This ambition was good as an individual organizer but it sometimes to led to problems in the 1980s when Bob served in various capacities for the Washington Chess Federation and almost ran the organization ashore. Like everyone Bob had his quirks. The curious ways he sometimes structured his prize funds were creative to say the least and some of the articles he wrote were unintentionally funny ("Preparing to Play Walter Gentala" is one that comes to mind), but he could laugh at himself - he was the editor of NWC when it ran Bruce Harper's parody of the Gentala article -"Preparing to Beat the Freak Attack." Bob Karch will be missed. For a picture of Bob (with GM Gufeld) see the "Greatest Chess Photos" link above. Bob went to Lincoln High School in Tacoma in the late 1940s, and he started the NWC rating system. He was career U.S. military from the early 1950s to the early 1970s. Think his final rank was Major. He did time in Vietnam.